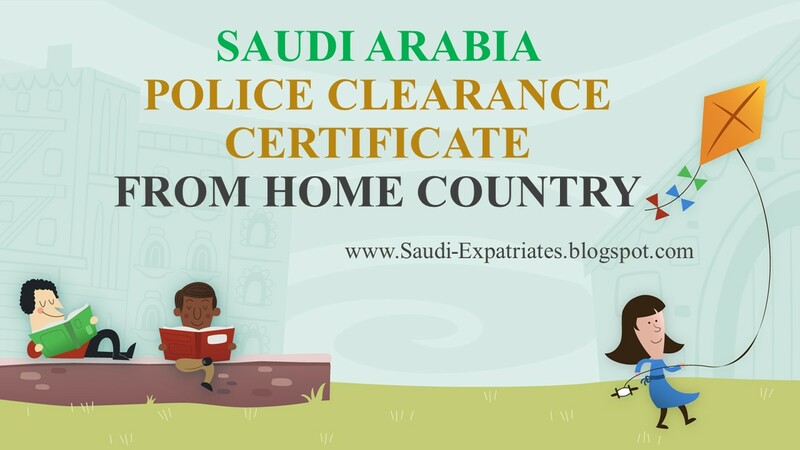 How to get Saudi Arabia Police Clearance Certificate from home or native country? Or you can ask how to get PCC when you are out of KSA? To know the answer of this question, You should follow below procedure. It is always better to get PCC while you are final exiting from KSA to know the process read this article "Police Clearance Certificate in Saudi Arabia". However if you did not you can proceed with this article. First thing you have to do is, You need to find any friend or relative in Saudi Arabia, Who can process it, on behalf of you. 1. Visit your Area Police Station in your home country and ask them you want to get your fingerprint card. Once you get it, Translate it into Arabic. 2. Vist Saudi Embassy of your home country, Get Police Clearance Certificate from their and fill it in Arabic. Now attest your translated fingerprint card and filled Police Clearance Certificate from Saudi Embassy. 3. You need to request your sponsor or employer in Saudi Arabia to issue a clearance certificate and release letter or NOC (No Objection Certificate) mentioning they do not have any obligation with you. 4. Write a letter to your home country Embassy in Saudi Arabia mentioning you need Police Clearance Certificate and you are authorizing your relative or friend to collect it on your behalf. Attach two passport size photographs, copy of your old Iqama and passport including all exit entries pages of Saudi Arabia. 5. You also need to attach Police Clearance Certificate of particular country in which you are seeking residency. 6. Your relative or your friend to whom you assigned this task on your behalf, need to visit police station to collect Police Clearance Certificate, once it issued.